Rieker Randy 13422 men's lace up shoe. 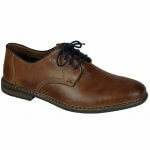 It features a soft, smooth leather upper with a cushioned footbed to provide comfort. Contrast stitching and edging adds a stylish touch to a classic design. The lace fastening allows for adjustability and provides a secure fit when walking. 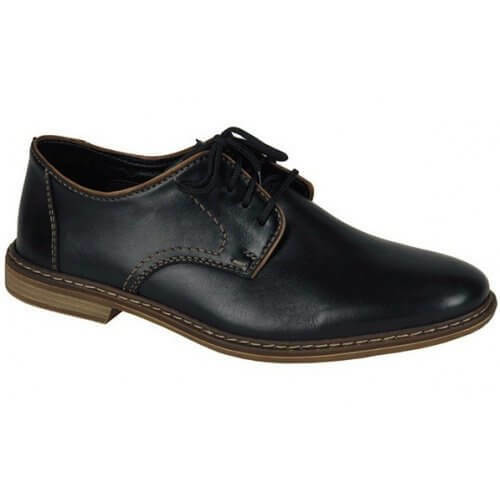 Practical and durable, Rieker Randy is a smart/casual shoe that would be a versatile addition to your wardrobe. Available in black and brown from a 40-45 (6-11).